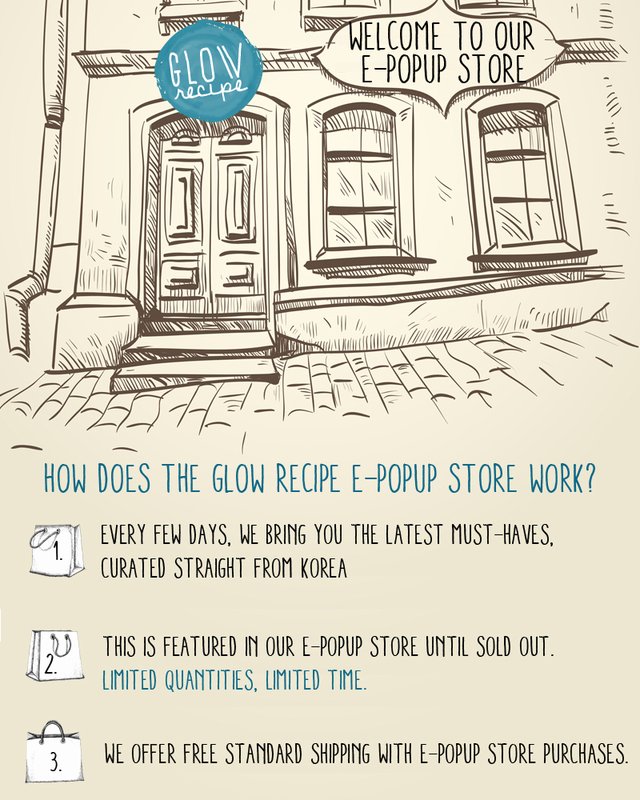 We’ve excited to introduce the opening of the Glow Recipe E-Popup Store! Our E-Popup Store features the latest and greatest products from Korea. One product that has been hand-picked by the Glow Recipe team is featured for a limited time, every few days. Sign up for the Glow Recipe email list to be notified of new sales. As each E-Popup Store has limited quantities, only 2 products can be purchased at a time. Every purchase from Glow Recipe’s E-Popup Store is offered from complimentary standard shipping.